My guest on today’s episode is someone who has put so much of what I talk about on this show into practice. Leisa Peterson is not only a fantastic guest; she’s an accomplished podcast host, author, coach, and Certified Financial Planner, and she’s built a wonderful speaking career as a thought leader in her industry. I wanted to talk to Leisa about how she created and grew her super-successful podcast, The Art of Abundance, but we ended up talking about so much more than that. Whether or not you can see yourself starting a podcast, Leisa’s wisdom will be helpful to you wherever you are in your speaking and business journey. Leisa shares some incredible gems about building a community of people you are inspired by and how you can share what you learn with your audience in a way that’s accessible and resonant. She also talks about how she is easing herself back into speaking now that she’s finished writing a book, and how she combines her very left-brain career as a financial planner with her intuitive abilities to serve her clients. How to make connection with people of influence (and invite them on your podcast!). How Leisa started her podcast with the goal of helping her audience to learn alongside her as she began a business. Why your branding is super important for ensuring people see which of your credentials makes you a great person to connect with. How starting a podcast helped Leisa gradually step into her truest message. Leisa’s tips for being a great guest on other people’s podcasts. How she weighs whether or not she should do a speaking engagement for free. You are listening to the Speak So It Matters podcast episode number 38. Welcome to Speak So It Matters where we share a mix of stories of inspiration and super practical public speaking and communication guidance, to help you release all the barriers to becoming the speaker you know you’re meant to be. Some of us are called to use our voice to serve others and our world as well as to become the most fully expressed version of ourselves. If that’s you, you’ve landed in the right place. Let’s do this, my friends. Hello, my speaker friends. As usual, I am so delighted to be here with you today. First of all, because I get to share this amazing conversation that I had with Leisa Peterson of the Art of Abundance Podcast and WealthClinic.com, and we just got deep on really how to create a podcast that’s super successful. It’s possible that I was asking lots of questions on my own behalf, but I’m hoping that you’ll find many of those answers useful for you as well. I mean she has had this really successful and really rich and useful podcast for years now. Actually, she’s on episode number 216 I think she says in her interview. So we just talked all about how she got started how she honed her message over time. I know we end up going there in a lot of these interviews, and that’s really because I know that’s just is so much of what we “struggle with.” I’m doing kind of air quotes around that because if we could even just see how normal it is if you can see that across all these interviews, maybe it won’t feel like such a struggle and it’ll feel more like the natural evolution of a message. But Leisa and I talked about that. We talked about how to get great people on your podcast and really as an extension because you may or may not be interested in starting your own podcast. How you make connections with people of influence, people who can help you spread your message further and contribute in a powerful way to your own audiences as well, or your own mission as well. So our conversation goes a lot of directions. Leisa just finished a book, and we talk about a little bit. We touched on the book writing process and of course, we talked about speaking and how it has impacted her own business with a really cool story about her getting to meet one of her idols at an event where she was speaking, and some cool things that happened as a result of that. So we’re going to dive into all of that here in just a minute. Before that, I want to introduce you of course to Leisa, and just a little note, it is storming like crazy here at my house. So while I think that my beautiful fancy podcasting system, makes me want to share a picture of my fancy system with you, I think it is set up well to buffer out the noise. Forgive me if you hear some more background noise, I don’t know about forgive me, but just I hope it’s not distracting to you. It’s nothing to forgive me about, right? It’s nature. So you may hear some background noise. It’s just the storm carrying on in the background here in California. Yup, we get rain and storms here too. So I am excited to introduce you to Leisa, tell you a little bit about her. Leisa and I met while we were in a mastermind together. A little side note for you, this is how I’ve met so many of my amazing business and life friends honestly, and a lot of people who have been on this podcast. So masterminds and other ways of connecting are so powerful on so many levels. So we met at this mastermind, and I was just immediately taken with her brilliant work, the cool work that she’s done, and her own message, as well as just her sincerity and kindness just as we were sitting talking about work and life overall. Leisa has a popular podcast where she’s interviewed awesome thought leaders, like Daniel Pink, Barbara Stanny, who is now Barbara Huson and Jonathan Fields among many others. As I said, 216 episodes and counting. She’s also a speaker and just finished a book. So we dived into all of those kinds of thought leadership topics in this conversation. So here’s her full bio, so you can hear all of the rich goodness. 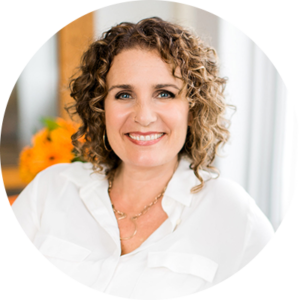 Leisa Peterson is a sought-after author, podcaster, educator, and coach who helps her clients create a life of abundance. She’s the founder of WealthClinic.com, the Art of Abundance podcast, and maintains a thriving business and money coaching practice in Sedona, Arizona, where she’s a regular guest on the podcast, radio shows, and has been featured in The Wall Street Journal, Fast Company, Forbes, The Week and Huffington Post. So lots of cool places. That’s though leadership right there my friends. She combines her skills of being a longtime entrepreneur and money experts. She has a CFP, Certified Financial Planner, and MBA in finance, 25 years in finance, and she mixes in mindfulness practices, and other mindset shifting techniques to help entrepreneurs reconnect to their true selves while growing businesses that make the world a better place. She’s a native of Northern California. That’s where I live. Leisa now lives in Sedona, Arizona with her husband and college sweetheart, Tim and their two children, Aidan and Zoe. So pretty exciting, right? And you know it’s nice to read bios that gives you a sense of their credibility, but another reason I loved reading you her full bio is that you can see all the ways that she’s established thought leadership. If you’re wondering how to get on great stages, which is the most common question that I hear, the way to get on great stages is to become a recognized thought leader in your industry. And yes, that happens through speaking, but it really happens when you have a broad presence within your topic area. So you know publishing in places like Fast Company, Forbes, Huffington Post, that establishes thought leadership in a powerful way. So I just think her bio is even a really great example of ways that you can broaden your thought leadership reach. Okay so as you listen in to this conversation, notice the simple message that Leisa keeps coming back to. It’s just so peaceful and inspiring. This doesn’t have to be hard and you don’t have to do it perfectly. The best thing you can do whether you want to start a podcast, be a guest on the awesome podcast, get on an exciting stage in your industry, write that book, whatever your goal is, the most important thing you do is you start and you really can learn as you go. 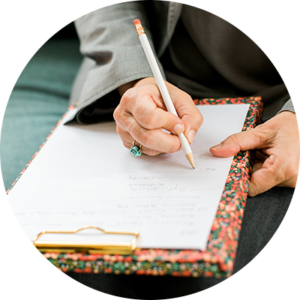 So you’re going to love all the examples of ways that Leisa has done just that and grown a thriving thought leadership position, and a full coaching practice along the way. So here we go, listen in my friends. I am so excited to be here with you Leisa. Thank you so much for being on Speak So It Matters podcast. I am so happy to be here Michelle. So I wanted to have you on the podcast because you have answers to so many questions, at least let’s say it this way, you have insights, you have experience in so many areas that people who listen to the Speak So It Matters podcast are wondering about how do you do it. And you’ve done such really cool things. So we’re going to just dive into all of those with your permission. Yes. This is super fun. Thanks for having me here. So let’s start with your podcast because that’s the first thing I recognized in your whole portfolio of thought leadership. So if you could just tell us sort of what made you start the podcast. I guess actually I’m going to step back a minute from there. Tell us how you got your message overall and then what made you start the podcast. That’s a great question. I started the podcast, well the interviews about four years ago. And the interviews came because I was trying to build my list, and a lot of people do this, we’re the last group of people to engage in a summit or something like that. And after I was done, I had so successfully scored the most amazing interviews. It killed me to not do something more with them, and so I went back to everybody and said, “Hey, do you mind if I use this to begin starting a podcast?” And I took 20 or 25 of the best of the 50 interviews I had done over a couple summits, and that was about three years ago, and I turned them into the first episodes for the podcast. At that time, it was called The Art of Mindful Wealth, and what was interesting is at that time, the conversations were really oriented around entrepreneurship and people overcoming challenges and difficulties to start their business or the story behind the story, and then what caused them to get going, and how have they had such great success. And over time, my message actually changed, and I think it might have been two years ago. So about a year ago into it, I realized that I was talking a lot more about abundance than I was mindful wealth, and I shook things up, I rebranded it, I didn’t start a new podcast, I just started with a new photo and a new title and you know I was like, “I’m not sure if this is going to work.” But I did it and that allowed me to now be on episode 200 … I think I’m working on 217. Yeah. So wow! You did 50 interviews. I did hear the whole thing and I have like four questions across that, but the first one that I was like, “Wow! 50 interviews.” And that was across a couple of summits you said. Yeah. The first one I did was like 30 and then I think that I have 21 the next time. And you were just starting out then? Or where were you in your business at that time? It was within the second year of my business that I got serious about building my email list. A lot of a start, and we put people that we know in our list and we hope that they keep receiving our emails and … The way I look back at my progression, this is going on nearly five years, the first two years, I’ll just tell everybody, I think it was like a hobby business. Like I was acting like it was really serious, but when I look back and I think about what I was doing, I was just trying to learn how to create an internet business. I was trying to learn how to leave a corporate position for 30 years, and start something new, and it took me a couple years to really get it going. And so these interviews were kind of like coaching sessions because I was trying to learn so much, and I didn’t really know my message. I really wanted to see what other people were doing and how they had had great success, and this has been the true testimony to podcasting that you know I’ve had over 215 coaching sessions with people giving me advice and suggestions, and then these people become great friends, and they open doors when I’m looking to answer questions. So, it’s really amazing, but that’s how it got started. Yeah. I mean I think that’s also just testimony to having been interviewed by you and knowing what that feels like. I completely can feel what you mean. You use it, you really do use it as an opportunity to learn from the person you’re listening to, which of course gets transferred and shared with everyone who’s listening, right? But it’s a true learning experience. And you are all about building influence and you know the leadership in one’s profession and one’s area of specialty. And this is really the thing with podcasting is that you get to meet these people, you get to learn from them, and before you know it … And I really saw this early on, Jamie, I can’t remember her last name, but she has a millionaire podcast, and you know a lot of people who have come onto the scene, if you will, become influencers by who they’re connected with, by who they’re interviewing. I haven’t necessarily done that, but I have seen other people be very successful and become experts just by who they know and who they interview. Yeah. Well, you’re right it’s the credibility. I mean when I look at your list, I mean of course I see Jonathan Fields, who stands out for me because we both know him and he’s wonderful and well-respected, but there’s a lot of incredible names. And some of them, I don’t even know much about the financial industry, but I recognized, was it Barbara Stanny and other? Yeah. Dan Pink. I mean that has, if you have know, took me three years. Oh my gosh, I love this story. Like I just one day thought, “Well, what if I could get him on the podcast?” And I’ve been reading his books for 10, 15 years, and he wrote back the first time I wrote to him, and he is like, “I’m sorry Leisa, the timing isn’t good. I’m working on a book.” And then I checked back. He told me when to check back, I did it. He’s like, “I’m sorry Leisa, it’s not good timing.” Okay fine, I’ll check back again. And then every time, he became harder and harder to kind of reach, but I kept with it and one day I said, “Okay. I think you’ve got a book a coming out, right?” And he’s like, “Yeah.” And I said, “Let me interview you for this book. When?” And it came together. What a great story. That exactly how it works, right? Sometimes you write to someone and they say yes right away, and then there are times when you don’t hear from them, or they say they no, which is actually kind of a kindness, if you ask me. I think that’s really cool that he wrote back and said it doesn’t work right now. Because often times, you don’t hear anything, but to your point, you just kept with it and here you are, 200 and how many episodes again? Yeah. 15, 16. I lose track because you know how it is, they’re in the pipeline. But I just … And yesterday, I had a woman … You know how you get into researching, and for the book, I research so many things and one day I was on the computer and down the rabbit hole, and I became completely consumed by this woman’s work around the chakras, which my book talks about. And the next thing you know, I just was like, “You have to have her on the podcast.” So I started figuring out, reached out, send an email, and she writes back and it turned out she was traveling but she lives in Sedona, Arizona, where I’m based. And so she was here yesterday and we couldn’t stop talking, and we’ve already we’re planning, she’s going to come speak at my retreat next week. And like you just can’t make that stuff up. Like these are miracles happening on a regular basis because of the podcast. Yeah. Because you’re creating something based on this message that a particular audience gathers around, right? And then you just make these sort of natural meaningful connections that matter. Yeah. That serve. That reminds me, sort of except for the cool part about like you’ve got to hang out together in person and then she’s coming to your retreat. But before that, I was thinking about when I was writing my book, before Beyond Applause, I wrote a book called Soul Power to Your Message, and I said, I was like, “I want to have Chris Brogan.” Who was one of my first mentors, online mentors. I want to interview him for my book. And I wrote him, it had to be the longest email on the planet seriously, convincing … And he wrote back literally and said yes. That was it. I literally thought I was just like first of all, I’m totally embarrassed because obviously, it was a big contrast, but it was beautiful you know he just wrote back and said yes, and I really, really did not expect that. So, it’s beautiful what can happen when you’re creating something that people can see a place that makes sense for them to join in on. Totally. And when they … The podcast … You know I’ll get things on Instagram or on Twitter, and people will put like … You know Jean Chatzky and some other podcast, Farnoosh is another money podcast, and Art of Abundance are my three most popular podcast, and I’ll just sit there and think, “Oh my gosh, I’ve never met this person before and they’re putting it in that caliber, and I have no idea how they found it.” And you just really get blown away sometimes at the impact that you’re making, even though you don’t always hear back you know about what people are … How much they’re enjoying your content. Yeah. I want to talk about, because I heard you say Jean Chatzky, and I know I want to talk about your Jean … Is am I saying it right, Jean Chatzky? Yeah. So NBC financial correspondent, and she’s building kind of her empire called hermoney.com. So she’s based in New York City and I’ve been reading her financial books and watching her on TV for probably close to 20 years. And she and I are about the same age, and about a year-and-a-half ago, her team started reaching out to me to ask me questions. So this is interesting because we’re talking about influence. And the first time they called it wasn’t Jean, it was somebody’s helping her pull stories together, and I was like, “Hey, great. Thanks so much for reaching out. Sure, I’ll answer your questions.” And then that happened like three, four times, and I kept thinking, “I don’t know what’s going on, but I’m going to keep answering the questions.” And they didn’t even know how they had found me, but probably through an association, a group that I speak at their events. And so then I had to get up the nerve to send the email to say, “Hey, I love to be on your podcast.” And even that was hard because I guess I was still just in shock. Well, I wrote to them and the first thing they came back and said was, “So are you going to be in New York in December so we can record this interview?” And I was like, “I live in Arizona, you know I’m not really planning on going to New York.” But I stop there and I thought you know what show up. Like fully show up. Just go to New York, even though it’s not a video, it’s an audio, you can be in her studio and take the opportunity because I’d love her to write a blurb about my new book and some other things and I’m like, “Go.” And I did, and it was so funny because of going the distance and paying for my trip and going to New York and having all kinds of great experiences and meeting with her in person, I could just tell that the interview was very, very different than it would have been, and they did some things in the promotion about the podcast that just came out last week that they’re like, “She’s helped us.” That’s what they told their whole community that I’ve helped them with breakthrough work. And those kinds of things like you get that because you are putting yourself out there, and you’re taking every little step there is seriously. Yes. Oh, that is such a fun story and you’re right, not one of those things you can strategize, right? You just kept responding to all the way back to when you were like, “I want to do this. I’m working in corporate, and I want to start this you know I’m starting my own business, so what do I do? I’ll try these summits. Oh, wow! Interesting I meet all these cool people.” You know, “And so I should do something with these. Oh, I’ll create a podcast.” It’s like you just keep following these intuitive ideas. Is that right? That’s what it’s sounding like to me. That’s amazing. yeah. You mean the people who end up being your clients, or just people who are chatting with you about the podcast? Yeah. They’ll just say, “I just want you to know.” You know they’ll send a note or something, “I listen to like you know every podcast.” I’m like, “Every one? Yeah, everyone.” And they’ll go back and listen to them multiple times because they’re so rich with information, but you know I just say that because sometimes we can get really … Like I could’ve beat up on myself and said, “Well, why didn’t you use this more effectively as a sales tool?” Or you know there’s so many things that I have looked at over the years and thought, “Well, I probably could have done some things different.” But in the end, the goals that I’ve accomplished have all been stellar, without having a motive other than learning. Yeah. I’m super open and vulnerable, and even when you know … I think maybe too, that learner mentality of like always a learner causes the tone of the podcast to be where people just really let their guard down. Like they are so open and vulnerable and willing to I think help the listeners feel really good about who they are and what they’re working on rather than it being like I’m the expert and you should listen to me. And so those are things that like … I talk about finding your voice, right? This is the big thing many of us struggle, especially if we’ve had other … This is like our second chapter or fifth or sixth, and we’re like we’re not sure what that voice is, a podcast is a great way to develop your style. And for me every year, it’s been more and more of stepping into my true self, and just being so honest and open and what you see is what you get, but I didn’t feel like that when I first started. I should go back and listen to some of my early on conversations to see because I know that I’ve grown so much. And it’s that confidence and that voice, that it’s okay for me to be this person and people will still take me seriously if I’m positioned as a learner for example. Yeah. I mean I have absolutely found … I found it super useful and very engaging. It was like you were sitting next to me, but you had the access to the speaker. So you were asking like the good questions, so pretty awesome. So maybe not everybody who is listening can imagine starting their own podcast, or it’s just not something they dreamed of, or they just don’t want to tackle that right now. Let’s talk about being on other people’s podcast because you’re obviously doing it now, and you’ve done that, and you started by talking about this you know the Jean Chatzky experience, right? Being in that amazing circumstance, but just how do you get great opportunities besides that one, to speak on, be interviewed and contribute to podcasts? Like these are the things that I podcast hosts are wanting. They want to make sure you know putting are our self in their shoes, they want to make sure that they’re creating engaging content that people share with others, that people get excited about, that they remember, “Oh my gosh, you’re the one who introduced me to this person’s work.” So being that person is something that we grow into, and the more confident we become, I think the more the invitations arrive at our doorstep. Right? It’s when you establish yourself with a stand that’s clear enough and relevant to a particular audience. It really does become this like magnetics and you’ve got all those other qualities you’re talking about. It becomes just such a no-brainer. Yes. And this is when you really do think about your branding. You think about the credentials that you have. You think about all the aspects of who you’re going to show up as, as a guest. Kind of interesting side note, when I was sitting there in the studio with Jean Chatzky, she started to talk and I’m a coach, you know I’m a wealth coach, I’m a business coach, and I am creating these courses that teach people about money, but she said, “I want everyone to know first and foremost that you’re not just a coach, you’re a certified financial planner.” I was like, “Oh, this is interesting.” Like that was her thing. The reason I probably was on her show was I had that credential, but we never know what it is in our background. Because I’ve never had anyone do that before, but she did because she’s a CFP too. So we want to make sure that people know these things, that we put a really nice overview together of who we are and what we’re doing and what are those credentials are because you never know what might get someone’s attention. Perfect sense, right? So it is, of course, all of the who we be and our branding and the message and also what matters to that particular audience, and it will shift across like individual micro audiences, but that’s why it’s really good to have it all clearly articulated, and for yourself and for the world in some way. And it’s a powerful part of thought leadership I think to make it clear to the world the ways that you can serve. Including by showing your certifications for those who care, right? Yeah. And there’s even been times, I’m just thinking of your listeners here, where let’s say I haven’t done a lot of what we’re talking about and you’re just getting started, there may be somebody in your area that you look up to that’s somewhat similar to you. One of the things that I’ve done in the past is I’ve gone out and I’ve looked at what interview topics are they covering on podcasts or other interviews, so I can see what is causing them to be called out or what people are really interested in. Like we can get a lot of information just through the internet of looking at what other people have done and see if there’s some things or nuggets that we might want to make sure when we’re listening on our speaker sheet, these are the topics I can cover. We might want to add a few of those because they’re obviously coming up a lot out there in the marketplace. Yeah. Definitely. That is excellent advice. That makes such perfect sense. Understanding what’s going on out there right now, yeah. When you say speaker sheet, that all suddenly took me into like a stage environment, is that what you were thinking of when you were saying that? Are you talking about something that you also send to people for podcast interviews? So I’m working on an updated one, but it’s probably very similar to what you use when you’re soliciting speaking opportunities, where you’ll have a web page and on that web page, you’ll list all the topics that you are comfortable talking about for the interview, and then all the other information. So this might be a little different than like something you’re going to go give a 30-minute talk on or something, that this is like, what’s a great topic to interview me for the podcast. Oh, right, yes. I’ve seen those. That go along with a book tour and yes, for sure. Okay, so I do want to talk about speaking, speaking of speaking, because I know … And you mentioned FinCon. Were you speaking at FinCon, at that same event where you were talking with Jean Chatzky? Yes, I was. Yeah. And I’ve spoken I think maybe for three years in a row, two or three years in a row, but I’ve spoken most of the conferences I go to for them. It’s a collective conference, where people are giving back to others in the industry. But yeah, speaking, I love speaking on stages, every opportunity I can. I used to do a lot more of it and then when I started working on the book, I started going really deep into the entrepreneur journey. It’s all a little different to find opportunities to speak to an entrepreneur solo or you know those particular audiences are a little different to find than when you’re talking to very broad audiences, which is what I did when I first started out. But I did hear you say before we started talking that you are thinking again, now that you’ve got your head up again from book writing and that deep rich process, you want to get out there again more. How are you thinking about it? Can you just kind of give us a picture? Yeah. That’s great question. Even I’m starting to get request more and more maybe just having been out there for a while, where people have groups, online virtual groups that they want to bring in speakers to give course instruction for maybe 30 minutes. So it would be very similar to a stage presentation, but you’re doing it virtually. And so the cool thing is if I get to test things in that format and then as those take off, then I can bring them more to the physical stage. So the plan is right now, to organize a few of those talks that fit into that 30-minute time window that are oriented to my book. So encourage people to want to go to the next step with the book or with a virtual program that I offer, and then finding the audiences to speak to. Podcast being a lot easier, in my opinion, to book than physical spaces, but I’d love to start to do that more once I know that my virtual teachings are effective. And what I mean by that is making sure that if I’m going to show up or I’m going to pay the cost of travel and all of that, that I have a system that converts people and make sure that if I’m not being paid, that I am going to be able to close the business on the other side of that talk. Yes. That’s like the ultimate question I get so often. You know, “Should I speak for free? Is it devaluating myself if I speak for free?” You know, “What does it say about me, if I am willing to travel and speak for free?” But you’re asking exactly the right question, right? “Is this an audience that I’m likely to convert into clients so that I can serve them in a genuine deeper and meaningful way?” Both parts are in so important, “And do I have the talk and the system in place to make that really simple?” So that when they’re ready, they can say yes and you can bring them into the fold and start serving them really readily. So you are on it my friend. Well, it’s definitely been learned, but like most lessons, the hard way. All of those 70 or 80 interviews that are out there, while they do provide people who come in and get freebies off my website, there has not been a great strategy to really deepen … Outside of receiving an email update from me or a meditation here or there, those sorts of things, I can see that in order to take my business to the next level, if you will, like to grow and to be able to have team members that I can pay well, and all that good stuff. It is about moving into that more leveraged state, and that’s a big leap for many of us. You know a lot of people never take that leap, but I’m trying to be very conscious so that I can still keep that really intimate feeling. So when people are working with me, they’re still seeing me live and we’re engaging with each other, which is super important to me, but also so that I can serve more people and the work really I think serves … It’s like more people are wanting it, and there’s nothing like having a business that you built where you don’t have the ability to say yes to people. Like, “Oh, here’s an option.” And an affordable option is really important to me too. Yeah. So yes, tell us more. It sounds like you have these courses coming up you do business coaching. Say again what you do, how you help. Well, first and foremost, the thing that I am most known for and I think the thing that people come and get an experience of working with me is around what I call money breakthroughs. So because I’ve worked in the money business for close to 30 years. I have an MBA in finance. We talked about the Certified Financial Planner. Well, I have all of that, but I also have these kind of woo-woo psychic intuitive abilities that are really unusual when you come look at the left brain side and the right brain side, but because I’m so familiar with money, my own struggles, my client struggles, I’ve developed a system that can help people get quickly, like one-on-one to the core root belief that is causing them to not be all of who they want to be in this lifetime. And it’s fast. Like hours. I mean I have questions that I ask. And the book is all around this, but it’s like the book allows people to do it for themselves, whereas you know some people are like, “Girlfriend, I don’t got six weeks, I want it now.” And so they’ll come to me and they’ll tell me where they’re at, they’ll tell me what’s not working, they answer a series of pretty deep dive questions about their money back story, and then we meet. And in that sort of light hypnosis state of transformation is the best I can describe it, we get to and heal that root belief that is not true, that was never true, but we’ve adopted it as truth, and we’re living our lives that way. And when that’s gone, it’s just like being in a canon. You know you just sort of shoot out and you go where you want to go. So this is something that … That’s what I think I’ve become known for is how did you understand something like that, when we just met in such a short amount of time? And and how did you help me move to the other side? So that’s the beginning of the work that I do with most people. And from there, we see if that’s all they needed or sometimes they want to do more of the business coaching and the self-realization coaching, and I’ve combined those two things together, and money is part of that equation, building wealth. Yeah. They do the money breakthrough work with you and then they can move into, “Okay. Now that I’m you know shooting off like a canon, I have just have all this stuff to do, right?” To like in a good way, in an exciting way. And then you support them through that growth. I do. I do. And that’s where you know things have just been getting really busy. And so I continue to look at ways that I can support people. I run some groups, like ongoing and annual group, where people come together and rather than it just being me, it’s like finding like-minded people that can become a mastermind to each other, that are super interested first and foremost in this integrity and being absolutely clear with who you are on the inside, and wanting to bring that out into the outside. And so I have a way of just finding people who want to work with that level, not everybody’s ready for that, but bringing people together so that they can support each other in their growth. You know whether there’s a coaching arrangement or not, I have found that there’s just so much … It made me saw this right in Jonathan’s group, there’s so opportunity to help each other. It doesn’t have to be in just that one way. Yeah. I just love the way you think. Think is not even the right word. I love the way you come at contribution in your life and in your work. And I can just feel it in this conversation, and I’m just so grateful. I’m so grateful for you taking the time. I mean you just spent most of the time talking about my industry, talking about speaking and all these things that are apart of your industry of course, business growth, freedom to sort of contribute in the world in that big way. But I think it’s just such testimony to your generosity and just your kindness and commitment to serving. So thank you so much for that. Thank you. I feel like the most fortunate person in the world. I mean as you know, being an entrepreneur is for me, it’s been the hardest thing I think I’ve ever done in my life at one level. And then thank goodness I stayed with it because the idea that you could create something where you’re surrounded by people that you just adore and can’t get enough of, and that you can make money doing that you know, kick me, it’s just like epic. You know, am I going to wake up out of this dream? It’s better than any dream that I could come up with. That’s awesome. So can you tell us how we can learn more about you and I believe you have a very cool, in fact I know you have very cool free resource on your website. So if you’ll just give us where to find you and what we’ll find there. Sure. So the freebie that you are talking about is called the Wealth Flower Exercise or the Wealth Flower Toolkit, and you know one of the other things I’m known for is just asking really good questions that cause people to mind blown. And so this is a series of questions that’s oriented around an exercise that helps you take a step back and really think about what you’re wanting to create in the world, so you can live more deliberately. So this is the exercises, Wealth Flower, and it covers all aspects of your life, not just your money. And you can also check out WealthClinic.com. which is where the blog is and the podcast episodes, and a lot of other information. You know you just poke your head around because there’s a lot there. Awesome. Well, thank you. I know that they will be delighted. I’ve been very delighted poking my head around there. And it’s been so fun talking with you. Thank you again for spending this time with us. Thank you Michelle. Thank you everyone for listening. My friends, we have our very first totally spontaneous Speak So It Matters podcast after-show. As soon as I clicked end on the recording with Leisa, she started sharing all of these really deep insights, and I just didn’t want you to miss them. I thought they were so beautiful and steeped in so much rich experience. So here’s another little bonus clip. There’s a realization that when you finally find the voice that you have wanted to have all along, you get so excited that you start to step out and you start to be more of service to other people, in contrast to where I feel like I was when I first started the podcast and when I first started my business, which was I was so wrapped up in my own crap and own stories that I couldn’t really be of service to people in the way that I wanted to be. Like I wanted that, but I didn’t know how to do it. And so over time, as I become more confident, and I realized that who I am is more than enough, I’m able to be of greater service to other people because there isn’t that unhealthy ego causing me to get in my own way. That is so beautiful. I mean I feel like this is like our after-show. Our after-show power session. Yes, I think that’s what this is because you know that’s what I want to give to my audience in so many different ways, and coming from your rich experience. That learning is so powerful. The thing in the way is all the stories and the thoughts that are in our head, it doesn’t mean we cannot clear it just because we know that, but knowing that and remembering that as we’re feeling stuck or uncertain, can help us, I don’t know, let it go faster. Maybe more easily. Yup. There it is my friends, the after-show. The very first Speak So It Matters after-show. Wasn’t that just fabulous? Leisa shared so many fun examples and meaningful insights. I can just feel her care and her desire to serve throughout the conversation. So I’m just delighted I get to share this with you. Maybe especially that little after-show clip, which basically came from our quick conversation after I hit end recording. And she started saying these amazing things, these additionally amazing things, but I felt like they were even deeper, the next layer of conversation, and I just knew you had to be in on that part of our conversation too. Thank you so much for being here my friend. I love sharing these conversations with you. I hope you got even half as much out of it as I did. I already can’t wait for us to connect again next week. Meantime, get out there, take your stand, change some lives. You don’t have to have it all figured out, you just have to start. Because here’s the thing, you were made for this my friends. I know because you know. All right, meet you here next week. Thanks for listening to this episode of Speak So It Matters podcast. If what you heard here today was useful, you’ll love the free guide I’ve created for you at speaksoitmatters.com/yes. Not only will you get immediate access to our Power & Grace Speaker’s Toolkit, including the only presentation outline you’ll ever need, but you’ll also receive weekly updates with our best resources as they’re created. I can’t wait to see you out there shining your beautiful light and changing lives with your message.